//	Huawei Working on a Quad-Edge Display – Could it be for the Huawei P10? Huawei Working on a Quad-Edge Display – Could it be for the Huawei P10? When Samsung Galaxy S7 Edge was unveiled, it easily became the best-selling handset for the company thanks to its edge-to-edge screen that eliminates the left and right bezels. The phone had actually taken over from where the Galaxy S6 Edge had left and when the Galaxy Note 7 was unveiled, things were even better in terms of design. We have seen other companies come in with devices that feature edge-to-edge screens, most notably the Elephone S7 and the Xiaomi Mi MIX. While the former device shares the same looks as the Galaxy S7 Edge, the latter has something different. Xiaomi went for a near bezel-less smartphone that only features the bottom bezel. This means that you get a screen to body ratio of more than 91%. Given that the phone ends up with a screen size of 6.4 inches yet at the same time keeping almost the same height as many other 5.5-inch smartphones, it has emerged that many OEMs are set to take this direction in order to add screen size without altering the actual physical size of the phones. Samsung has already been rumored to be working on bezel-less Galaxy S8 and Galaxy Note 8 and so is Apple with respect to the iPhone 8. The latest to jump on to this bandwagon is another Chinese OEM in the shape of Huawei. According to leaked info on Weibo, Huawei is working on some display technology known as Quad-edge screen. As the name suggests, the display should feature an edge-to-edge design, however, whether this will only affect two, three or even all four sides of the phone is unknown, but if the leaked info is to be believed, the latter should be the case. We could be looking at a bezel-less Huawei phone in the making, but whether this is the 2017 Huawei P10 or something else is hard to tell. 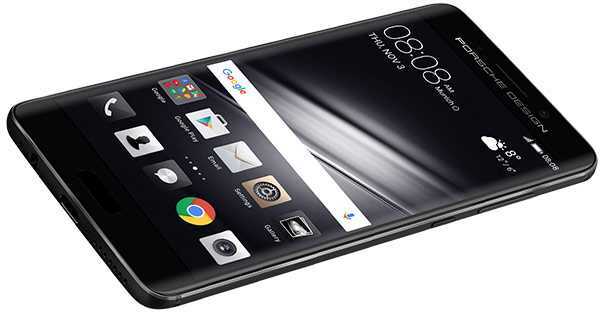 The company recently unveiled the Huawei Mate 9, Porsche Design Mate 9 and the Mate 9 Pro – decent handsets that are worth looking at, but there is talk of a Huawei P10 in the making. Given that the current Huawei P9 has a screen size of 5.2 inches, it is possible that the removal of bezels could mean we end up with a 5.5-inch QHD screen on the Huawei P10. This could mean the Huawei P10 Plus jumps to 5.8 inches of screen size. This is just a rumor and in fact, Huawei P10 is still months away from release, meaning anything could happen along the way. As a result, take this report with some form of skepticism, at least until Huawei confirms the details.